We break down our expectations for 2019 EV sales in the U.S. market by model and name the winners, losers, and no-shows. Torque News is one of the only publications that provides an annual sales forecast for the U.S. electric vehicle market by model number. This is our third year running and the pressure is on, since our forecast for 2019 was pretty much spot-on. We nailed the Tesla Model 3 sales and deliveries to within 2% accuracy. Here is what we think will be the sales by each major player in the EV market. We will comment on the models that are not major layers at the end of the story. Tesla's sales for the Model 3 in the U.S. will not continue to grow. This isn't only due to demand in the U.S. dropping as those who want a Model 3 get one. Rather, Tesla will start to dilute its U.S. sales by sending Model 3 cars to other markets in increasing numbers. The real wild card here is the never delivered upon promise by Elon Musk and Tesla to offer a $35K version of the Model 3. Were Tesla to actually honor this, the Model 3's sales would be limited again only by production. We are betting Tesla does not deliver a car that costs $35K to a consumer before incentives (state and federal tax credits and rebates). 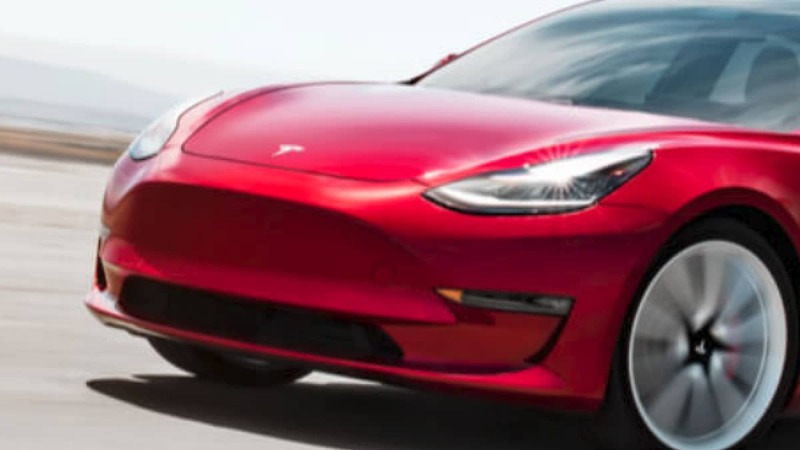 Total for 2019 = 194,000 Model 3 cars sold and delivered in the U.S. Both models have hit a plateau in sales. Our estimate is that the Model 3 begins to be more parasitic to the Model S as Tesla ramps up special performance editions of the 3 that overlap the S.
We predict the Clarity PHEV will overtake the Toyota Prius Prime in 2019 and become the leading seller among all affordable U.S. EVs. 2019 Sales estimate is 34,000 units delivered. We won't predict the Clarity BEV sales. There is simply no way to know if Honda will build a meaningful number or sell it outside of California. We've tested the Clarity PHEV and can tel you that once word spreads about this car Honda will have customers lining up at dealer doors. Prime sales will settle in at about 2,000 units per month and slowly decline as 2019 progresses. Our estimate is 23,000 delivered. If there is one car on this list that we are having trouble separating our emotions from our forecast numbers this is it. We love the new Leaf. With a new longer-range version coming, we are not sure how many Nissan will build. We will be bullish and say the Leaf beats the Prime this year and that Nissan builds and sells 24,000. Not dead yet. Our prediction is that Chevy will sell about 1,800 per month as long as the factory builds them. You can do the math. Chevy Bolt - 22,500 Units in 2019. Supported by fire sale discounting. No way to tell how many this automaker will build and import, so a forecast is not possible. Does not matter. None of the rest are priced to sell to a mainstream market. BMW, Jaguar, Mercedes, VW, Ford and the rest can make some great products if they so choose. None are positioned to do it at a price their customers will pay in 2019. If you see any models other than the ones we detailed above with forecasts that will average 2,000 units monthly call us wrong. Overall EV sales will stabilize in 2019 and remain at about 2% of overall U.S. market sales. Perhaps as much as 2.4% if the overall sales are somewhat lower in 2019 compared to 2018. The only real reason for the strong growth in 2018 was the Model 3. Our best guess for an optimistic target would be about 430,000 units total of all types of EVs (PHEVs, BEVS, EREVs) in 2019 in the U.S. market. Ur sales predictions make no sense. Tesla NEVER sold more cars in Q1 than in Q4, and it's not gonna be any different in 2019. "Here is our estimate for the Model 3 by quarter: Q1 = 60,000 Cars delivered Q2 = 44,000Cars delivered Q3 = 39,000 Cars delivered Q4 - 51,000 Cars delivered" Have u fallen don a flight of stairs lately? Perhaps if u reverse those and start with 39K and go up from there. Secong half or Q4 of 2019 is when the cheapest M3 will begin its deliveries, and since there around 400K+ of reservations for that particular trim, unit numbers will climb not fall. Solid forecast. Thanks for going on the record. I asked a few EV-advocacy publication writers if they would like to do so and they all declined. We have not heard much about Tesla Model 3 reservations since the lead time dropped to a few weeks. By July 1st, the federal tax credit will be down to $1,875 for the M3. That means that a $35K Tesla Model 3 will have the same cost to a buyer as one priced at $40,625 in 2017 or 2018 would have had. That change will be interesting to watch as well. And I wonder how many Tesla would opt to build at what seems like a loss. Then there are the international markets Tesla hopes to serve, pulling inventory from American sales. Should be fun to watch.